Our product range includes a wide range of gas chlorinators for paper industry. 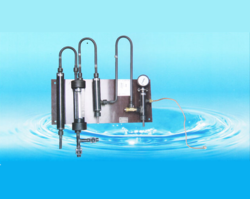 We have been able to come up with supreme quality Gas Chlorinators for Paper Industry. The instrument is durable, reliable and accurate in performance. We also provide customization as required by the client. Looking for Gas Chlorinators for Paper Industry ?